Easter Ham Gift Certificates by gThankYou are a meaningful, easy way to thank employees and celebrate springtime in your workplace. Springtime employee recognition is essential to re-engaging your workforce and buffering against the distractions that summer and warmer weather inevitably bring. Now’s the time to start your Easter employee appreciation planning! Easter will be here soon. Why thank employees at Easter? Besides being a widely celebrated family occasion, it’s a springtime holiday with cultural, non-religious traditions that will appeal to everyone. Holiday Ham Gift Certificates: Order Today, Delight Tomorrow! Need a holiday gift to share with your staff, fast? Order gThankYou! Ham Gift Certificates today and get them as soon as tomorrow! gThankYou! Ham Gift Certificates are good for any brand of half or whole ham and for any preparation, allowing recipients to choose what’s best for their family. Easter is fast approaching this Sunday, March 27, followed by Easter Monday, and it’s the perfect time to liven up your workplace with a celebration. As we covered earlier this week, a workplace Easter celebration is still a great idea, regardless of employee religion. This Easter, delight your workplace by sharing the thoughtful gift of an Easter ham. An Easter ham gift can be enjoyed with family and friends and is appreciated by everyone as the centerpiece of their holiday meal. The holiday spirit is in the air and Christmas is just a couple of weeks away. You want an affordable, yet meaningful way to thank employees for all their contributions to your year’s success. ‘Tis the season to share your appreciation with employees who work hard for you all year long. Finding a gift that works for everyone and fits your budget is challenging. Everyone appreciates the gift of food during the holidays, especially one that’s the centerpiece of their holiday celebration. Easter is here, and it’s the perfect time of year to reward both customers and employees alike. 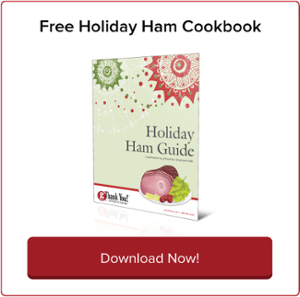 Ham is a Spring tradition, and here at gThankYou we make giving the gift of ham both simple and rewarding.